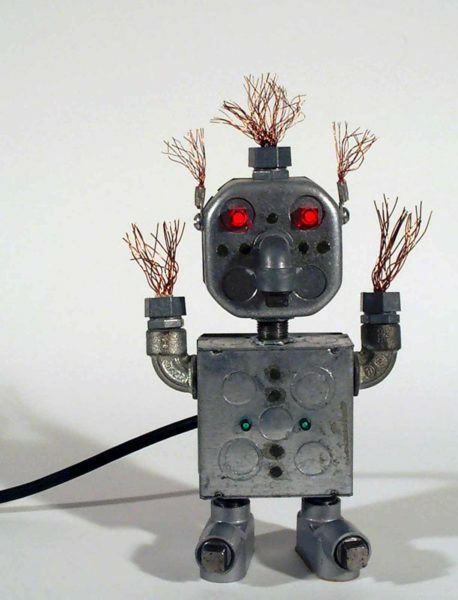 After Arthur Bradburn, Robot Lamp, circa 1985, mixed media sculpture on electrical parts, 12.5 x 8 x 4 inches. Museum purchase, 2001.14.33. Can you paint with a pendulum? Draw with a robot? This camp is for you. Students who like to invent and make art have fun experimenting with materials and building contraptions to help create their one-of-a-kind artworks.